3-D car makes debut in D.C.
WASHINGTON -- The world’s first 3-D printed car will roll in to D.C.
for its East Coast premiere this week. Creators will showcase how they can take 3-D imaging to the next level by using new technology. 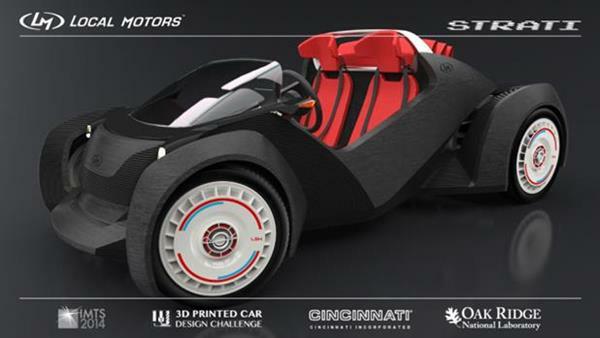 The vehicle, which carmakers Local Motors say is drivable, was printed in one solid piece with carbon fiber reinforced materials in just 44 hours. "By adding wheels, a steering wheel, windshield and an electric battery for power, Local Motors has created an American manufacturing and automotive first," the company says in a news release. The car will debut Wednesday at the American Energy and Manufacturing Competitiveness (AEMC) Summit. Click here for more info.